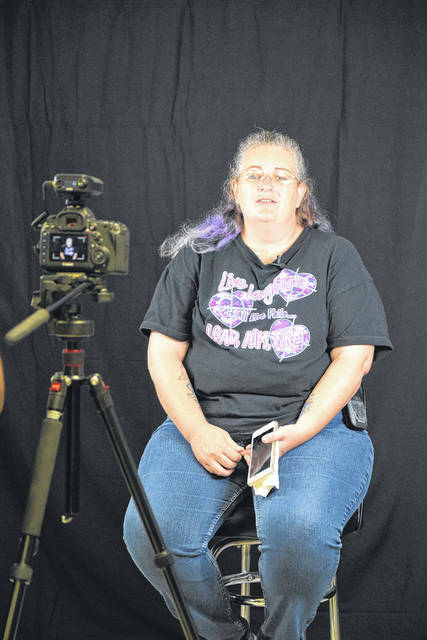 EATON — The “Guardians: Never Forget Their Stories” photography project visited Eaton V.F.W. 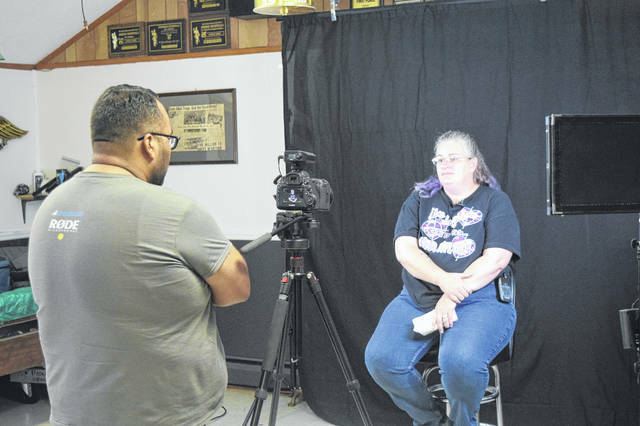 Post 8066 on Saturday, Sept. 15, to film local veterans telling their stories. The project’s mission is to simply tell and show honor to the stories of veterans from across the globe. Founder Michael Thomas is a veteran himself, so this project is from hero-to-hero, organically meant to show their truths. “Essentially, what happened, is a couple of the people here today are students of mine. I teach a photography program called Operation Meraki, and it teaches veterans the use of photography as an alternative means of therapy for traumatic experience. Once people started opening up in class, they started telling their stories for the first time. It became a call of action for me. At that point, I knew I had to be the historian for people who have been in conflicts,” Thomas said. When the group comes into an organization, they set up two different areas — one for pictures and one for videos. First, they photograph the veteran whom they are going to interview. Then, they bring the individual in front of a camera to tell his or her stories. Each veteran has as much time as he or she wants to tell all the stories he or she wants to. After this is completed, the veterans are welcome to sit around and reminisce some more. This allows the members of the Guardians team to interact one-on-one with different veterans. Once this project is complete, there will be a soft-opening gallery, showing a black and white head shot and a video of each person talking, which observers will listen to with headphones. “I want to create that, because I think sometimes people see us in uniform, but out of uniform we are broken in society,” Thomas said. “There are so many things that we can offer society from our experiences and our stories. This is what the project is birthed out of,” he said. Thus far, Thomas has spoken to 85 different veterans for the project. The soft gallery launch should be in December, with a hard gallery opening in February. Thomas hopes to come back to Eaton to film more veterans telling their stories. For more information, visit guardiansphotoproject.com.